"Hispanic Jews" and "Latino Jews" redirect here. For related uses, see Iberian Jews. For a list of Jews by country, see List of Latin American Jews. After the expulsion, many Sephardic Jews migrated to the Netherlands, France and eventually Italy, from where they joined other expeditions to the Americas. Others migrated to England or France and accompanied their colonists as traders and merchants. By the late 16th century, fully functioning Jewish communities were founded in the Portuguese colony of Brazil, the Dutch Suriname and Curaçao; Spanish Santo Domingo, and the English colonies of Jamaica and Barbados. In addition, there were unorganized communities of Jews in Spanish and Portuguese territories where the Inquisition was active, including Colombia, Cuba, Puerto Rico, Mexico and Peru. Many in such communities were crypto-Jews, who had generally concealed their identity from the authorities. By the mid-17th century, the largest Jewish communities in the Western Hemisphere were located in Suriname and Brazil. Several Jewish communities in the Caribbean, Central and South America flourished, particularly in those areas under Dutch and English control, which were more tolerant. More immigrants went to this region as part of the massive emigration of Jews from eastern Europe in the late 19th century. During and after World War II, many Ashkenazi Jews emigrated to South America for refuge. In the 21st century, less than 300,000 Jews live in Latin America.They are concentrated in Argentina, Brazil and Mexico, with the first considered the center of the Jewish population in Latin America. Templo Libertad Synagogue in Buenos Aires. Jews fleeing the Inquisition settled in Argentina, where they intermarried with native women. Portuguese traders and smugglers in the Virreinato del Río de la Plata were considered by many to be crypto-Jewish, but no community emerged after Argentina achieved independence. After 1810 (and about mid-nineteenth century), more Jews, especially from France, began to settle in Argentina. By the end of the century in Argentina, as in America, many Jewish immigrants were coming from Eastern Europe (mainly Russia and Poland) fleeing Tsarist persecution. Upon arrival they were generally called "Russians" in reference to their region of origin. Jewish individuals and families emigrated from Europe to Argentina before and after World War II, in an attempt to escape the Holocaust and later postwar anti-Semitism. Between 250,000 and 300,000 Jews now live in Argentina, the vast majority of whom reside in the cities of Buenos Aires, Rosario, Córdoba, Mendoza, La Plata and San Miguel de Tucumán. Argentina has the third-largest Jewish community in the Americas after the United States and Canada, and the sixth largest in the world. According to recent surveys, more than a million Argentines have at least one grandparent of Jewish ethnicity. The Jewish Argentine community legally receives seven holidays per year, with the first two days of Rosh Hashanah, Yom Kippur, and the first and last two days of Passover, according to the law 26,089. Jewish presence in Bolivia started at the beginning of the Spanish colonial period. Santa Cruz de la Sierra, founded in 1557 by crypto-Jews from Paraguay and Buenos Aires after joining Ñuflo de Chávez as pioneers, became known as a safe haven for Jews during the Inquisition in the region. During the 16th century, several alleged marranos (that is, New Christians whom others rightly or wrongly suspected of crypto-Judaism), settled in Potosi, La Paz and La Plata. After they gained economic success in mining and commerce, they faced suspicion and persecution from the Inquisition and local authorities. Most of these marrano families moved to Santa Cruz de la Sierra, as it was an isolated urban settlement where the Inquisition did not bother the Conversos (another term for New Christians). This frontier town served as a buffer to the Portuguese and Guaraní raids that threatened the mines of Peru, and the government wanted its population to stay. Many Jews intermarried with indigenous women, founding mixed-race or mestizo families. Jews also settled in adjacent towns of Vallegrande, Postrervalle, Portachuelo, Terevinto, Pucara, Cotoca and others. Several of Santa Cruz's oldest Catholic families are of partial Jewish origin; some still practice elements of Jewish customs. They have influenced the rest of the community. For instance, as recently as the 1920s, several families preserved seven-branched candle sticks and served dishes cooked with kosher practices. Certain old families have the custom of lighting candles on Friday at sunset and to mourn the deaths of dear relatives by sitting on the floor. Scholars disagree on provenance and recency of these practices. After almost five centuries, some of the descendants of these families claim or have proven their Jewish origins, but practice Catholicism (in certain cases with some Jewish syncretism). From independence in 1825 to the end of the 19th century, some Jewish merchants and traders (both Sephardim and Ashkenazim) immigrated to Bolivia. Most took local women as wives, founding families that eventually merged into the mainstream Catholic society. This was often the case in the eastern regions of Santa Cruz, Tarija, Beni and Pando, where these merchants came from Brazil or Argentina. During the 20th century, substantial Jewish settlement began in Bolivia. In 1905, a group of Russian Jews, followed by Argentines, settled in Bolivia. In 1917, it was estimated that there were 20 to 25 professing Jews in the country. By 1933, when the Nazi era in Germany started, there were 30 Jewish families. The first large Jewish immigration occurred during the 1930s; the population had climbed to an estimated 7,000 at the end of 1942. During the 1940s, 2,200 Jews emigrated from Bolivia to other countries. But the ones who remained have created communities in La Paz, Cochabamba, Oruro, Santa Cruz, Sucre, Tarija and Potosí. After World War II, a small number of Polish Jews immigrated to Bolivia. Some moved to countries that offered more economic opportunities. Today, approximately 600 Jews remain in Bolivia. There are synagogues in the cities of Santa Cruz, Cochabamba and La Paz. Most Bolivian Jews live in Santa Cruz. Beth El Synagogue in São Paulo. Jews settled early in Brazil, especially in areas of Dutch rule. They set up a synagogue in Recife in 1636, which is considered the first synagogue in the Americas. Most of these Jews were conversos who had fled Spain and Portugal to the religious freedom of the Netherlands when the Inquisition began in Portugal in 1536. In 1656, following the Portuguese reconquest of Brazil, Jews left for the Caribbean islands and New Amsterdam under Dutch rule; the latter was taken over by the English in 1664 and was renamed as New York City. After independence in the 19th century, Brazil attracted more Jews among its immigrants, and pressure in Europe convinced more Jews to leave. Jewish immigration rose throughout the 19th and early 20th centuries, at a time of massive emigration from the Russian Empire (including Poland and Ukraine). Jewish immigration to Brazil was rather low between 1881–1900 although this was the height of other international immigration to Brazil; many were going to more industrialized countries. Between 1921 and 1942 worldwide immigration to Brazil fell by 21%, but Jewish immigration to Brazil increased by 57,000. This was in response to anti-immigration legislation and immigration quotas passed by the United States, Argentina, Canada and South Africa, persisting even after the crisis of Jews under the Third Reich became clear. The Brazilian government generally did not enforce its own immigration legislation. Lastly, the Jews in Brazil developed strong support structures and economic opportunities, which attracted Eastern European and Polish Jewish immigration. Brazil has the 9th largest Jewish community in the world, about 107,329 by 2010, according to the IBGE census. The Jewish Confederation of Brazil (CONIB) estimates that there are more than 120,000 Jews in Brazil. Brazilian Jews play an active role in politics, sports, academia, trade and industry, and are well integrated in all spheres of Brazilian life. The majority of Brazilian Jews live in the state of São Paulo, but there are also sizable communities in Rio de Janeiro, Rio Grande do Sul, Minas Gerais and Paraná. Great Synagogue of Santiago, Chile. Although a relatively small community amounting to no more than 1% of the country's religious minorities, Jews in Chile have achieved prominent positions in its society. They have had key roles both before and after its independence in 1810. 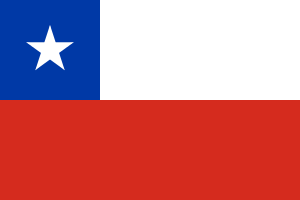 Most Chilean Jews today reside in Santiago and Valparaíso, but there are significant communities in the north and south of the country. Mario Kreutzberger, otherwise known as "Don Francisco" and host of 'Sábado Gigante', the longest-running TV show in the world, is a Chilean Jew of German origin. Other Chilean Jews who have achieved recognition in arts and culture include Alejandro Jodorowsky, now established in France and best known for his literary and theatrical work. Others include Nissim Sharim (actor), Shlomit Baytelman (actress) and Anita Klesky (actress). Volodia Teitelboim, poet and former leader of the Chilean Communist Party, is one of the many Jews to have held important political positions in the country. Tomás Hirsch is leader of the radical Green-Communist coalition and former presidential candidate in 2005. State ministers Karen Poniachick (Minister for Mining) and Clarisa Hardy (Minister for Social Affairs) are also Jewish. In the field of sport, tennis player Nicolás Massú (gold medalist in Athens 2004 and former top-ten in the ATP rankings) has Jewish background. Many of the country's most important companies, particularly in the retail and commercial field, have been set up by Jews. Examples are Gendelman and Hites (commercial retailers) and Rosen (Mattress and Bed Industries). "New Christians", or Marranos, fled the Iberian peninsula to escape persecution and seek religious freedom during the 16th and 17th centuries. It is estimated that some reached northern areas of Colombia, which at the time was known as New Granada. Most if not all of these people assimilated into Colombian society. Some continue to practice traces of Sephardic Jewish customs as family traditions. 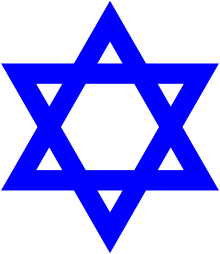 Many Jews who came during the 18th and 19th centuries achieved prominent positions in Colombian society. Some married local women and felt they had to abandon or diminish their Jewish identity to become more assimilated. These included author Jorge Isaacs of English Jewish ancestry, the industrialist James Martin Eder (who adopted the more Christian name of Santiago Eder when he translated his name to Spanish) born into the Latvian Jewish community, as well as the De Lima, Salazar, Espinoza, Arias, Ramirez, Perez and Lobo families of Antillean Sephardim. Coincidentally, these persons and their families settled in the Cauca Valley region of Colombia. They have continued to be influential members of society in cities such as Cali. Over the generations most of their descendants converted or were raised as secular Catholics. During the early part of the 20th century, numerous Sephardic Jewish immigrants came from Greece, Turkey, North Africa and Syria. Shortly after, Jewish immigrants began to arrive from Eastern Europe. A wave of Ashkenazi immigrants came after the rise of Nazism in 1933 and the imposition of anti-Semitic laws and practices, including more than 7000 German Jews. From 1939 until the end of World War II, immigration was put to a halt by anti-immigrant feelings in the country and restrictions on immigration from Germany. The Jewish population increased dramatically in the 1950s and 1960s, and institutions such as synagogues, schools and social clubs were established throughout the largest cities in the country. Due to the changing economy and wave of kidnappings in the country during the final decade of the 20th century, many members of Colombia's Jewish community emigrated for their families' safety. Most settled in Miami and other parts of the United States. Successes in the nation's Democratic Security Policy has encouraged citizens to return; it has drastically reduced violence in the rural areas and criminality rates in urban areas, as well as in spurring the economy. The situation in Colombia has improved to the extent that many Venezuelan Jews are now seeking refuge in Colombia. In the early 21st century, after years of study, a group of mestizo Colombians with crypto-Jewish ancestry formally converted to Judaism in order to be accepted as Jews according to the halakha. The first Jews in Costa Rica were probably conversos, who arrived in the 16th and 17th centuries with Spanish expeditions. In the 19th century Sephardic merchants from Curaçao, Jamaica, Panama and the Caribbean followed. They lived mostly in Central Valley, married local women, and were soon assimilated into the country's general society. Most eventually gave up Judaism altogether. A third wave of Jewish immigrants came before World War I and especially in the 1930s, as Ashkenazi Jews fled a Europe threatened by Nazi Germany. Most of these immigrants came from the Polish town Żelechów. The term Polacos, which was originally a slur referring to these immigrants, has come to mean door-to-door salesman in colloquial Costa Rican Spanish. The country's first synagogue, the Orthodox Shaarei Zion, was built in 1933 in the capital San José (it is located along 3rd Avenue and 6th Street). Along with a wave of nationalism, in the 1940s there was some anti-Semitism in Costa Rica, but generally there have been few problems. Since the late 20th century there has been a fourth wave of Jewish immigration made up of American and Israeli expatriates who are retiring here or doing business in the country. The Jewish community is estimated to number 2,500 to 3,000 people, most of them living in the capital. The San José suburb of Rohrmoser has a strong Jewish influence due to its residents. A couple of synagogues are located here, as well as a kosher deli and restaurant. The Plaza Rohrmoser shopping center had the only kosher Burger King in the country. The Centro Israelita Sionista (Zionist Israeli Center) is a large Orthodox compound where a synagogue, library and museum are located. Jews have lived on the island of Cuba for centuries. Some Cubans trace Jewish ancestry to crypto-Jews, called Marranos, who fled the Spanish Inquisition. Early colonists generally married native women and few of their descendants, after centuries of residence, practice Judaism today. There was significant Jewish immigration to Cuba in the first half of the 20th century, as noted in other countries of Latin America. There were 15,000 Jews in Cuba in 1959, but many Jewish businessmen and professionals left Cuba for the United States after the Cuban revolution, fearing class persecution under the Communists. In the early 1990s, Operation Cigar was launched, and in the period of five years, more than 400 Cuban Jews secretly immigrated to Israel. In February 2007 The New York Times estimated that about 1,500 Jews live in Cuba, most of them (about 1,000) in Havana. Curaçao has the oldest active Jewish congregation in the Americas—dating to 1651—and the oldest synagogue of the Americas, in continuous use since its completion in 1732 on the site of a previous synagogue. The Jewish community of Curaçao also played a key role in supporting early Jewish congregations in the United States in the 18th and 19th centuries, including in New York City and Newport, Rhode Island, where the Touro Synagogue was built. Converso Merchants of Sephardic origin arrived in southern Hispaniola during the 15th, 16th and 17th centuries, fleeing the outcome of the Spanish Inquisition. Over the centuries, many Jews and their descendants assimilated into the general population and some have converted into the Catholic religion, although many of the country's Jews still retain elements of the Sephardic culture of their ancestors. Later, in the 18th and 19th centuries, many Sephardic families from Curaçao emigrated to the Dominican Republic. Sosua, meanwhile, is a small town close to Puerto Plata was founded by Ashkenazi Jews fleeing the rising Nazi regime of the 1930s. Rafael Trujillo, the country's dictator, welcomed many Jewish refugees to his island mainly for their skills rather than for religious persecution, and with a hidden motive on his part to encourage European and Middle Eastern immigration instead of Haitians. Present-day Sosua still possesses a synagogue and a museum of Jewish history. Descendants of both Ashkenazic and Sephardic Jews can still be found in many other villages and towns on the north of the island close to Sosua. Many Jews in Ecuador are of Sephardic ancestry and many still speak Judaeo-Spanish (Ladino) language. Some assume that they were among the European settlers of Ecuador. Others came from Germany in 1939, on a ship called the "Koenigstein". During the years 1933-43, there were a population of 2,700 Jewish immigrants. In 1939, the Jewish population, mostly German and Polish Jews, were expelled by a decree of the Italian influenced government of Alberto Enriquez Gallo. The antisemitism spread in the population, but was stopped by the intervention of the American embassy. In 1945, there was a reported population of 3,000. About 85% of them were European refugees. The rise of Jewish immigration to Ecuador was when the Holocaust started. In 1950, there was an estimation of 4,000 persons living in Ecuador. Most of the active Jewish communities in Ecuador are from German origin. 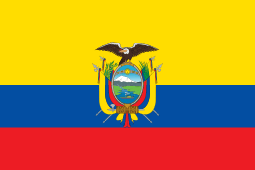 The majority of Ecuadorian Jews live in Quito and Guayaquil. There is a Jewish school in Quito. In Guayaquil, there is a Jewish Community under the auspices of Los Caminos de Israel called Nachle Emuna Congregation. Now in 2016 in Ecuador there are only 290 reported Jews in the country. "Among the Jewish immigrants who came to Ecuador were also professionals, intellectuals and artists, some of whom were professors and writers. Other Alberto Capua, Giorgio Ottolenghi, Aldo Mugla, Francisco Breth, Hans Herman, Leopold Levy, Paul Engel, Marco Turkel, Henry Fente, Benno Weiser, Otto Glass, Egon Fellig, and Karl Kohn. Olga Fis valued and spread the Ecuadorian folk art, Constanza Capua conducted archaeological, anthropological and colonial art. From Sephardic ancestry were Leonidas Gilces and his younger brother Angel Theodore Gilces whom helped many immigrants such as Charles Liebman who reach the capital with his library, which became the most important of the capital. Simon Goldberg who had a library in Berlin, Goethe library of old books that contributed to the dissemination of reading. Vera Kohn was a psychologist and teacher, tasks that at mid-century were not of interest of Ecuadorian women who used to live in their homes given away, devoid of intellectual curiosity and only care about social life. They were not interested in politics, with the exception of Paul Beter, belonging to the second generation of Jews, who became Minister of Economy and Central Bank President. Alsatian-born Bernardo Haas, who came to El Salvador in 1868, was believed to be the country's first Jewish immigrant. Another Jew, Leon Libes, was documented as the first German Jew in 1888. Sephardic families also arrived from countries such as Turkey, Egypt, Tunisia Spain and France. De Sola helped to found the first synagogue and became an invaluable member of the Jewish community. In 1936, World War II caused the Jewish community to help their ancestors escape from Europe. Some had their relatives in El Salvador. But some were forced to go into countries such as Brazil, Ecuador, Guatemala and Panama. On July 30, 1939, President Martinez barred an entry of fifty Jewish refugees going to El Salvador on the German ship Portland. On September 11, 1948, the community started and continues to support a school "Colegio Estado de Israel". According to the latest Census, there are currently about 100 Jews living in El Salvador, mostly in the capital city of San Salvador. Most of them have Sephardic roots. Jews arrived in French Guiana by the way of the Dutch West India Company. Later on September 12, 1659, came Portuguese Jews from Brazil. The company appointed David Nassy, a Brazilian refugee, patron of an exclusive Jewish settlement on the western side of the island of Cayenne, an area called Remire or Irmire. From 1658 to 1659, Paulo Jacomo Pinto began negotiating with the Dutch authorities in Amsterdam to allow a group of Jews from Livorno, Italy to settle in the Americas. On July 20, 1600, more than 150 Sephardic Jews left Livorno (Leghorn) and settled in Cayenne. The French agreed to those terms, an exceptional policy that was not common among the French colonies. Nevertheless, nearly two-thirds of the population left for the Dutch colony of Suriname. Over the decades, the Leghorn Jews of Cayenne immigrated to Suriname. In 1667, the remaining Jewish community was captured by the occupying British forces and moved the population to either Suriname or Barbados to work in sugarcane production. Since the late 17th century, few Jews have lived in French Guiana. In 1992, 20 Jewish families from Suriname and North Africa attempted to re-establish the community in Cayenne. A Chabad organization exists in the country and maintains Jewish life within the community. Today, 800 Jews live in French Guiana, predominately in Cayenne. The Jews in Guatemala are immigrants from Germany and Eastern Europe that arrived in the 19th century. Many immigrated during World War II. There are approximately 9,000 Jews living in Guatemala today. Most live in Guatemala City, Quezaltenango and San Marcos. Today, the Jewish community in Guatemala is made up of Orthodox Jews, Sephardi, Eastern European and German Jews. In 2014, numerous members of the Hassidic communities Lev Tahor and Toiras Jesed began settling in the village of San Juan La Laguna, therefore mainstream Jewish communities felt threatened by their higher commitment to Judaism, deciding to spark tensions with residents. The mainstream Jewish community was reportedly dismayed and concerned that the arrival of communities with higher adherence to Judaism might stir up anti-Jewish sentiment. Despite the tropical heat, the members of the community continued to wear the traditional ancient Jewish clothing. When Christopher Columbus arrived in Santo Domingo, as he named it, among his crew was an interpreter, Luis de Torres, who was Jewish. Luis was one of the first Jews to settle on Santo Domingo in 1492. When the western part of the island was taken over by France in 1633, many Dutch Sephardic Jews came from Curaçao, arriving in 1634, after the Portuguese had taken over there. Others immigrated from English colonies such as Jamaica, contributing to the merchant trade. In 1683, Louis XIV banned all religions except Catholicism in the French colonies, and ordered the expulsion of Jews, but this was lightly enforced. Sephardic Jews remained in Saint-Domingue as leading officials in French trading companies. After the French Revolution instituted religious freedom in 1791, additional Jewish merchants returned to Saint-Domingue and settled in several cities. Some likely married free women of color, establishing families. In the 21st century, archaeologists discovered a synagogue of Crypto-Jews in Jérémie in the southwest area of the island. In Cap-Haïtien, Cayes and Jacmel, a few Jewish tombstones have been uncovered. In the late eighteenth century at the time of the French Revolution, the free people of color pressed for more rights in Saint-Domingue, and a slave revolt led by Toussaint L'Ouverture broke out in 1791 in the North of the island. Slaves considered Jews to be among the white oppressor group. Through the years of warfare, many people of the Jewish community were among the whites killed; some Jews were expelled when the slaves and free blacks took power and instituted restrictions on foreign businessmen. Haiti achieved independence in 1804 but was not recognized by other nations for some time and struggled economically, based on a peasant culture producing coffee as a commodity crop. Foreigners were prohibited from owning land and subject to other restrictions. Planters and other whites were killed in 1805, and Jews were among the whites and people of color who fled to the United States, many settling in New Orleans or Charleston. Race, as defined in slavery years, and nationality became more important in Haiti in the 19th century than religion, and Jews were considered whites and nationals of their groups. 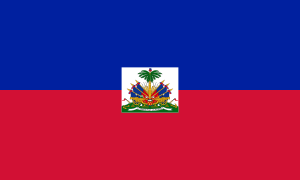 Later in the century, Polish Jews immigrated to Haiti due to the civil strife in Poland and settled in Casal, in the region of Grand-Anse. Most Jews settled in port cities, where they worked as traders and merchants. In 1881 a crowd in Port-au-Prince attacked a group of Jews but was drawn back by militia men. By the end of the 19th century, a small number of Mizrahi Jewish families immigrated to Haiti from Lebanon, Syria and Egypt; there were a higher number of Levantine Christian traders arriving at the same time. German Jews arrived with other German businessmen; they were highly acculturated and were considered part of the German community. In 1915, there were 200 Jews in Haiti. During the 20 years of American occupation, many of the Jews emigrated to the United States. The US and Haiti had joint interests in reducing the number and influence of foreign businessmen. In 1937, the government issued passports and visas to Jews of Germany and Eastern Europe, in order to help them escape the Nazi persecution. They retained control of any naturalization of foreigners, restricting it. During this time, 300 Jews lived on the island. Most of the Jews stayed until the late 1950s, when they moved on to the United States or Israel. As of 2010, the number of known Jews in Haiti is estimated at 25, residing in the relatively affluent suburb of Pétionville, outside Port-au-Prince. Haiti and Israel maintain full diplomatic relations, but Israel's nearest permanent diplomat to the region is based in neighboring Dominican Republic. During the 20th century-1980s, Jewish immigrants came to Honduras, mainly from Russia, Poland, Germany, Hungary and Romania. There were also immigration from Greece, who are of Sephardic origin and Turkey and North Africa, who are of Mizrachi origin. Throughout the 1970s and 1980s, it has been absorbed a huge number of Jewish immigrants from Israel. Through the past two decades, the Honduras experienced a resurgence of Jewish life. Communities in Tegucigalpa and San Pedro Sula grew more active. In 1998, the hurricane Mitch destroyed the synagogue, which was part of the Jewish community center in the Honduras. But the Jewish community contributed money to re-build the temple. Most Honduran Jews live in Tegucigalpa. Despite Jamaicans are mainly descendants of African slaves, some few of Jewish immigrants had been in Jamaica during 20th century, with a limit Jewish population. Only 200 Jews remain in Jamaica, but the full number of Jewish Jamaicans around the world are 250.000. 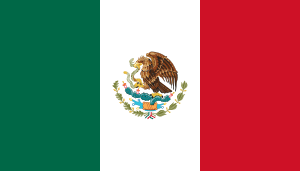 New Christians arrived in Mexico as early as 1521. Many of these conversos had fled Spain to escape the Inquisition, but no infrastructure was left by them in what is the modern day Mexican Jewish community. Due to the strong Catholic Church presence in Mexico, few conversos and even fewer Jews migrated there after the Spanish Conquest of Mexico. Then, in the late 19th century, a number of German Jews settled in Mexico as a result of invitations from Maximilian I of Mexico, followed by a huge wave of Ashkenazic Jews fleeing pogroms in Russia and Eastern Europe. A second large wave of immigration occurred as the Ottoman Empire collapsed, leading many Sephardic Jews from Turkey, Morocco, and parts of France to flee. Finally, a wave of immigrants fled the increasing Nazi persecutions in Europe during World War II. According to the 2010 Census, there are 67,476 Jews in Mexico, making them the third largest Jewish community in Latin America. In the state of Quintana Roo, Mexico, there is a thriving Jewish community that has been growing over the past decade. In 2007, Chabad Headquarters in New York decided to send their first representatives to Quintana Roo, in order to spread Judaism and to teach people Torah. They appointed Rabbi Mendel Druk as the regional representative, he arrived with his wife Rachel and their young baby girl. They quickly got to know all the local Jews and started serving them, along with tourist for all their Jewish needs. Based in Cancún, they reached out to the whole Quintana Roo and Mexican Caribbean including Playa del Carmen, Cozumel, Isla Mujeres and Mérida. In 2010 they opened a Chabad branch in Playa del Carmen to expand their activities. Rabbi Mendel Goldberg along with his wife Chaya and two daughters where assigned to direct the activities there and open a new center. The State of Baja California has also had a Jewish presence for the last few hundred years. La Paz, Mexico was home to many Jewish traders who would dock at the port and do business. Many locals in La Paz descend from the prominent Schcolnik, Tuschman and Habiff families, although most are assimilated into Mexican life. In recent years, the tourist industry has picked up in Baja California Sur, which saw many American retirees purchase and live in properties around the Baja. In 2009, with a grassroots Jewish Community formulating and with the help of Tijuana-based businessman Jose Galicot, Chabad sent out Rabbi Benny Hershcovich and his family to run the operations of the Cabo Jewish Center, located in Los Cabos, Mexico, but providing Jewish services and assistance to Jews scattered throughout the Baja Sur region, including La Paz, Todos Santos and the East Cape. The first Jewish immigrants to arrive in Nicaragua came from Eastern Europe after 1929. The Jews in Nicaragua were a relatively small community, the majority lived in Managua. The Jews made significant contributions to Nicaragua's economic development while dedicating themselves to farming, manufacturing and retail sales. The Jewish community encountered anti-semitism by individuals, the majority who claimed that Nicaraguan Jews were responsible for Israeli arms sales to the Somoza regime. Many of these individuals were part of the Sandinista National Liberation Front (FSLN). There was much hostility between the Sandinista government, which came into power in 1979, and the Jews. This was mostly due to the Sandinista government's close relationship with the Palestine Liberation Organization. It was approximated that the highest number of Jews in Nicaragua reached a peak of 250 in 1972. However, in fear of persecution and imprisonment by the Sandinista National Liberation Front, all the remaining Jews fled Nicaragua, they went into exile mainly in the United States, Israel, and other countries in Central America. After Daniel Ortega ran and lost the presidential elections in 1990, a small number of Jews returned to Nicaragua. The current Jewish population is around 50 people, of which the majority live in Granada, Nicaragua. Prior to 1979 the Jewish community had no rabbi or mohel (circumcision practitioner). The Jewish community now includes 3 mohalim; however, as of 2005, the community does not have an ordained rabbi or synagogue. For nearly five hundred years Panama has been a transit station. Long before the construction of the Panama Canal in the early twentieth century, merchants and missionaries, adventurers and bandits crossed the swamps of Panama ports and to go from the Atlantic to Pacific or vice versa. Although descendants of the "anusim" or crypto from the Iberian Peninsula, have lived in Panama since the early sixteenth century, there was there a Jewish community that has openly practiced their religion until it took centuries. Jews, both Sephardic (mostly Spanish and Portuguese Jews from nearby islands such as Curaçao, St. Thomas and Jamaica) and Ashkenazi, began arriving in Panama in large quantities until the mid-nineteenth century, attracted by economic incentives such as bi-oceanic railway construction and the California gold rush. They were followed by other waves of immigration: during the First World War the Ottoman Empire from disintegrating, before and after the Second World War from Europe, from Arab countries because of the exodus caused in 1948 and more recently from South American countries suffering economic crises. The center of Jewish life in Panama is Panama City, although historically small groups of Jews settled in other cities, like Columbus, David, Chitre, La Chorrera, Santiago de Veraguas and Bocas del Toro, Those communities were disappearing as families were moved to the capital in search of education for their children and for economic reasons. Today Jewish community numbers some 20,000. Panama is the only country in the world except for Israel that has had two Jewish presidents in the twentieth century. In the sixties Max Delvalle was first vice president, then president. His nephew, Eric Arturo Delvalle, was president between 1985 and 1988. The two were members of Kol Shearith Israel synagogue and were involved in Jewish life. Toward the 19th century, Jewish immigrants arrived in Paraguay from countries such as France, Switzerland and Italy. During World War I Jews from Palestine (Jerusalem), Egypt and Turkey arrived in Paraguay, mostly Sephardic Jews. In the 1920s, there was a second wave of immigrants from Ukraine and Poland. Between 1933 and 1939, between 15,000 and 20,000 Jews from Germany, Austria and Czechoslovakia took advantage of Paraguay's liberal immigration laws to escape from Nazi-occupied Europe. After World War II, most Jews that arrived in Paraguay were survivors of concentration camps. Today, there are 1,000 Jews mostly living in Paraguay's capital, Asunción. Most are of German descent. In Peru, conversos arrived at the time of the Spanish Conquest. At first, they had lived without restrictions because the Inquisition was not active in Peru at the beginning of the Viceroyalty. Then, with the advent of the Inquisition, New Christians began to be persecuted, and, in some cases, executed. In this period, these people were sometimes called "marranos", converts ("conversos"), and "cristianos nuevos" (New Christians) even if they had not been among the original converts from Judaism and had been reared as Catholics. The descendants of these Colonial Sephardic Jewish descent converts to Christianity settled mainly in the northern highlands and northern high jungle, and they were assimilated to local people: Cajamarca, the northern highlands of Piura as Ayabaca and Huancabamba, among others, due to cultural and ethnic contact with the southern highlands of Ecuador. In modern times, before and after the Second World War, some Ashkenazic Jews, Western and Eastern Slavic and Hungarians mainly, migrated to Peru, mostly to Lima. Today, Peruvian Jews represent an important part of the economics and politics of Peru; the majority of them are from Ashkenazi community. 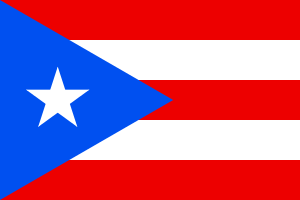 Puerto Rico is currently home to the largest Jewish community in the Caribbean, with over 3,000 Jews supporting four synagogues; three in the capital city of San Juan: one each Reform, Conservative and Chabad, as well as a Satmar community in the western part of the island in the town of Mayagüez known as Toiras Jesed for Minyanim information. Many Jews managed to settle in the island as secret Jews and settled in the island's remote mountainous interior as did the early Jews in all Spanish and Portuguese colonies. In the late 1800s during the Spanish–American War many Jewish American servicemen gathered together with local Puerto Rican Jews at the Old Telegraph building in Ponce to hold religious services. Many Central and Eastern European Jews came after World War II. Suriname has the oldest Jewish community in the Americas. During the Inquisition in Portugal and Spain around 1500, many Jews fled to the Netherlands and the Dutch colonies to escape social discrimination and inquisitorial persecution, sometimes including torture and condemnation to the stake. Those who were converted to the Catholic faith were called New Christians, conversos, and, less often, "Marranos". The stadtholder of the King of Portugal gave those who wanted to depart some time to let them settle, and supplied them with 16 ships and safe conduct to leave for the Netherlands. The Dutch government gave an opportunity to settle in Brazil. But most found their home in Recife, and merchants became cocoa growers. But the Portuguese in Brazil forced many Jews to move into the northern Dutch colonies in the Americas, The Guyanas. Jews settled in Suriname in 1639. 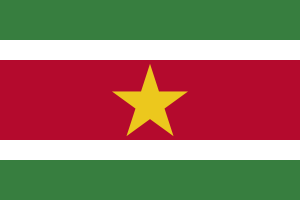 In 1799, the British occupied Suriname. Although returned to the Dutch in 1802, the British reoccupied it in May 1804 and did not return it to Holland until 1816. Suriname was one of the most important centers of the Jewish population in the Western Hemisphere, and Jews there were planters and slaveholders. For a few years, when World War II arrived, many Jewish refugees from the Netherlands and other parts of Europe fled to Suriname. 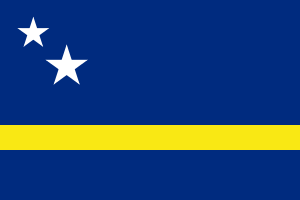 Today, 2,765 Jews live in Suriname. 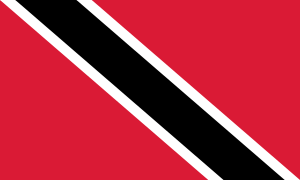 Trinidad and Tobago, a former British colony, is a home of over 500 Jews. 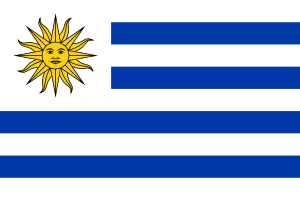 The New Christian presence in Uruguay dates back to the 16th century, yet few documents relating to converso history during the Colonial period are extant. In 1726, the governor of Montevideo called upon the first settlers to be "persons of worth, of good habits, repute and family, so that they be not inferior nor of Moorish or Jewish race." The first record of open Jewish settlement is in the 1770s. With the end of the Inquisition in 1813, the political and social system of Uruguay evolved to a greater level of openness and tolerance. This openness provided the basis for continued Jewish residence beginning in the 19th century. In 1929, the Ashkenazi Jewish community set up an educational network. Jewish schools have been functioning in various parts of the country since the 1920s. In the 1930s, there were significant Fascist and liberal anti-immigration elements that opposed all foreign immigration, weighing heavily on Jewish immigration. Jews were singled out and many people opposed Jewish inclusion in Uruguayan society. The history of Venezuelan New Christians most likely began in the middle of the 17th century, when some records suggest that groups of conversos lived in Caracas and Maracaibo. At the turn of the 19th century, Venezuela and Colombia were fighting against their Spanish colonizers in wars of independence. Simón Bolívar, Venezuela's liberator, found refuge and material support for his army in the homes of Jews from Curaçao. According to a national census taken at the end of the 19th century, 247 Jews lived in Venezuela as citizens in 1891. In 1907, the Israelite Beneficial Society, which became the Israelite Society of Venezuela in 1919, was created as an organization to bring all the Jews who were scattered through various cities and towns throughout the country together. By 1943, nearly 600 German Jews had entered the country, with several hundred more becoming citizens after World War II. By 1950, the community had grown to around 6,000 people, even in the face of immigration restrictions. During the first decades of the 21st century, many Venezuelan Jews decided to emigrate due to the growth of antisemitism and to the political crisis and instability. Currently, there are around 10,000 Jews living in Venezuela, with more than half living in the capital Caracas. Venezuelan Jewry is split equally between Sephardim and Ashkenazim. All but one of the country's 15 synagogues are Orthodox. The majority of Venezuela's Jews are members of the middle class. 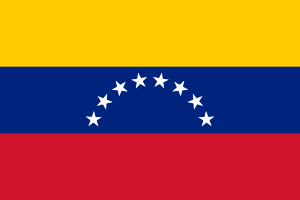 The father of the current president of Venezuela, Nicolas Maduro, is of Sephardic Jewish descent. 1 Anais da Biblioteca Nacional do Rio de Janeiro; v. 74. Rio de Janeiro: Departamento de Imprensa Nacional, 1953. 1 2 Sherry Mangan, "Storm Clouds over the Bolivian Refuge"
↑ Perman, Stacy: "The Jewish Traveler: Costa Rica", Hadassah magazine, December 2006. Accessed December 29, 2006. ↑ "In Cuba, Finding a Tiny Corner of Jewish Life". The New York Times. February 4, 2007. ↑ "The Exile of the Jews due to the Spanish Inquisition". Retrieved 2013-05-15. ↑ "Municipal Map of the Dominican Republic showing the Historical Ancestry". Retrieved 2013-05-15. ↑ "Jews migration in the 1700's". Retrieved 2013-05-15. ↑ "A partial, brief summary of Jews in the Dominican Republic". Retrieved 2013-05-15. 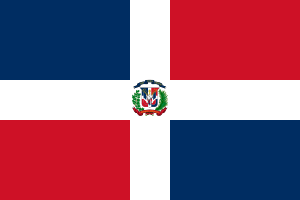 ↑ "Dominican Republic-Jews". Retrieved 2013-05-15. ↑ "Ancient Jewish Tradition of clothing". ↑ "Ultra-orthodox Lev Tahor settlement has spurred tension in Guatemalan village, CIJA says". 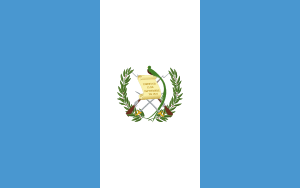 ↑ "More Lev Tahor sect members leaving Canada for Guatemala". ↑ "Panorama de las religiones en México 2010" (PDF) (in Spanish). INEGI. p. 3. Retrieved 11 June 2015. 1 2 "World Jewish Communities - Latin America - Nicaragua". World Jewish Congress. Retrieved 2007-08-30. ↑ "Persecution and Restrictions of Religion in Nicaragua - transcript". US Department of State Bulletin,. 1984. p. 2. Retrieved 2007-08-30. 1 2 "Persecution and Restrictions of Religion in Nicaragua - transcript". US Department of State Bulletin,. 1984. p. 3. Retrieved 2007-08-30. 1 2 "2001 International Religious Freedom Report". U.S. State Department. Retrieved 2007-08-30. ↑ "International Religious Freedom Report 2005". U.S. Department of State. Retrieved 2007-08-30. ↑ "Toiras Jesed de Puerto Rico". Archived from the original on 2007-11-23. ↑ Post-Chavez, Venezuelan Jews plant roots elsewhere - The Times of Israel.